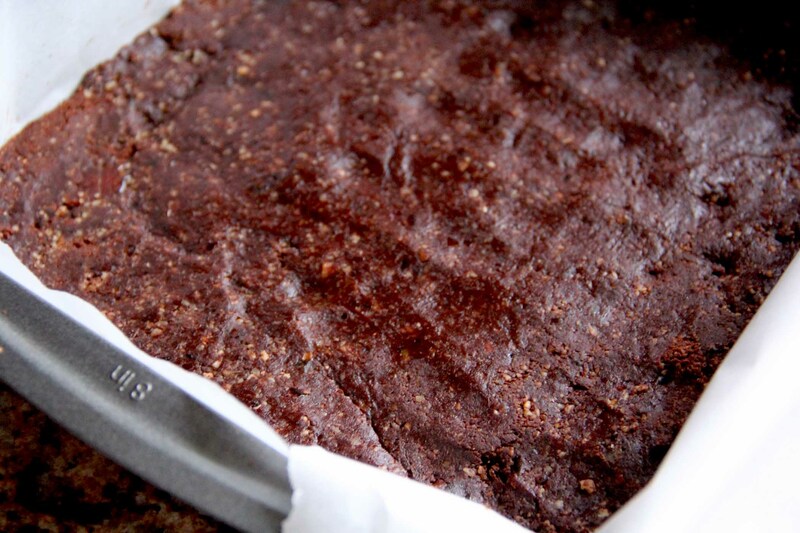 These not too sweet, little bit salty and wonderfully chewy raw brownies hit the spot when trying to eat healthy, but still craving something with a little touch of sweetness. Super easy, they are a cinch to make as long as you have a good quality food processor. Get out your food processor and add the walnuts and pecans. Chop until ground into fine pieces being careful not to make a paste with the nuts. Next add in cocoa powder and sea salt and blend together for a few seconds. Measure out 2 1/2 cups dates and pull out the pits. Turn on the food processor and add the dates one-by-one. Once the mixture starts to come together turn off food processor. 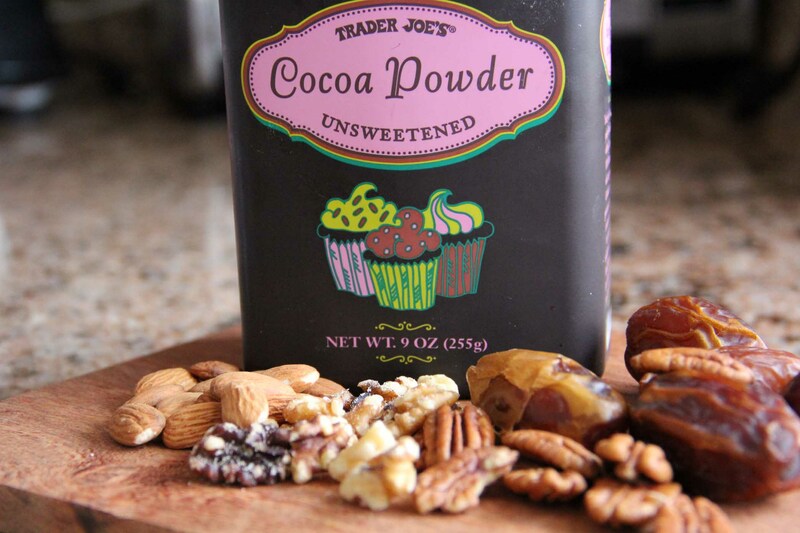 Line an 8 x 8 pan with parchment paper and dump your nut and cocoa mixture into it. 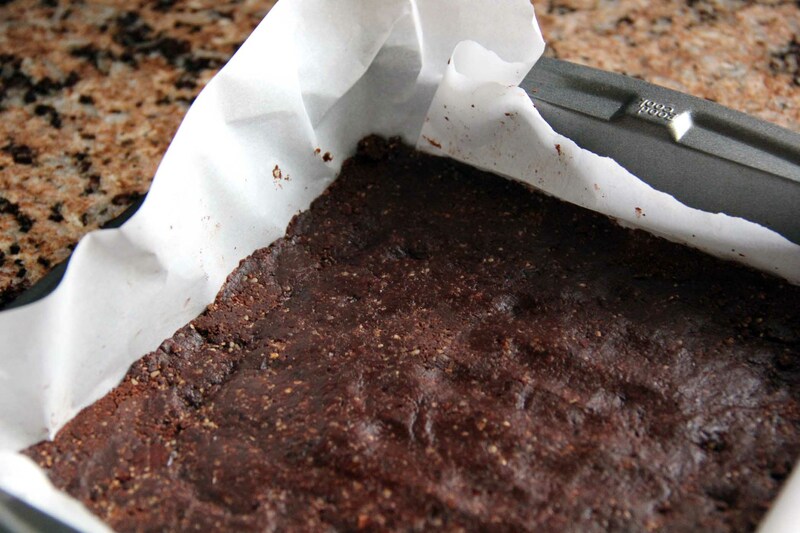 Press firmly with your fingers or even the bottom of a drinking glass to form your brownie. Put into the fridge for at least 30 minutes allowing the ingredients to come together and encourage easy slicing. These brownies aren’t super sweet but for my taste, they are just perfect. And my husband, who LOVES, LOVES, LOVES sweets, likes them just the way they are as well! Definitely adding these to the list. Thanks, K! My absolute favorite place for fresh and delicious seafood at the beach @ocsharkkitchen 🙌🏻👌🏻👍🏻 This Mahi Mahi in a triple cream Brie broth with farro, asparagus, spring peas, carrot purée and mustard seeds was 🔥 So so good. Get yourself there!